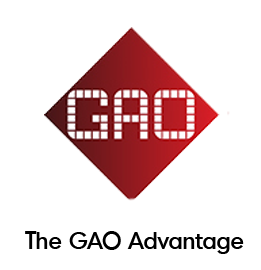 Information, Electronic & Telecommunications Industries | RFID Solutions - GAO RFID Inc. The Information, Electronic, and Telecommunications Industries consist of data and technology-driven organizations including computer system designers, software publishers, call centers, telecommunications carriers, hosting services, and libraries. Due to the focus on technology, these sectors are continuously looking for ways to improve efficiency, reduce costs, and track assets. GAO RFID’s solutions help make this possible by employing RFID technology to track, monitor, and locate valuable assets and personnel. Whether your organization is in the Information, Electronic, or Telecommunications industry, it will share many challenges commonly found in these types of business environments. Laptop computers, blade servers, copiers, and printers are all expensive assets that need to be tracked and accounted for. For most office machinery, it is important to keep track of maintenance intervals to ensure that equipments are working when they are needed most. Tag and track assets to monitor inventory and conduct real-time locating. Know when each equipment was last serviced ensure the timely maintenance of assets, providing zero downtime. The inventory of documents, files, books, need to be tracked as they are moved between locations. Rental office equipment need to be identified and inventoried to ensure full accountability. Keeping track of these types of inventory are cumbersome when done manually or via barcode. An automated way to tally inventory and then communicate the results immediately is becoming a growing need. Your inventory can be affixed with RFID tags, allowing you to gain instant visibility on the status and location of every item. Employing hundreds of employees under one facility raises the need to have an accurate and automated method of tracking personnel time and attendance and the verification of every employee’s identity is crucial to maintaining safety and security. RFID ID badges given to personnel allows you to automatically identify employees, log time and attendance, and integrate data seamlessly to your existing payroll software. Controlling access to zones in office facilities and parking lots to ensure only authorized personnel can enter and exit is a must; knowing who entered where, and for how long is now becoming a greater need. Authorized personnel can use RFID badges to access zones and garages; access is fully automated and all activity is logged, providing you with a report detailing who accessed what zone, complete with datestamp.